I’m torn on whether or not I’m ready for the change of seasons. I don’t want summer to end yet (it’s always so short, isn’t it?) but I’m already craving pumpkin loaf and caramel apples. Maybe I’d settle for one chilly weekend filled with pumpkin desserts and then we can get back to outdoor pools, splash pads and playground visits. Perhaps I’ll write a note to Mother Nature. 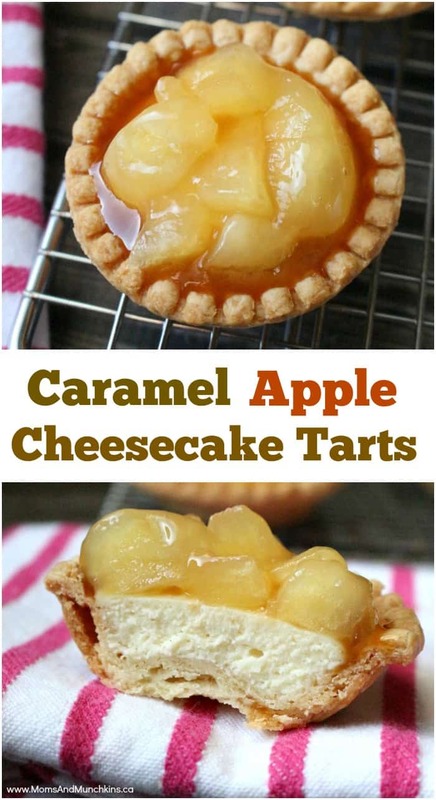 In the meantime, I’ve created a delicious recipe for Caramel Apple Cheesecake Tarts that are perfect for the fall entertaining season. I ate three of these myself on the day I baked them…strictly for research purposes, of course. You could use fresh apples for these but I prefer the apple pie filling. 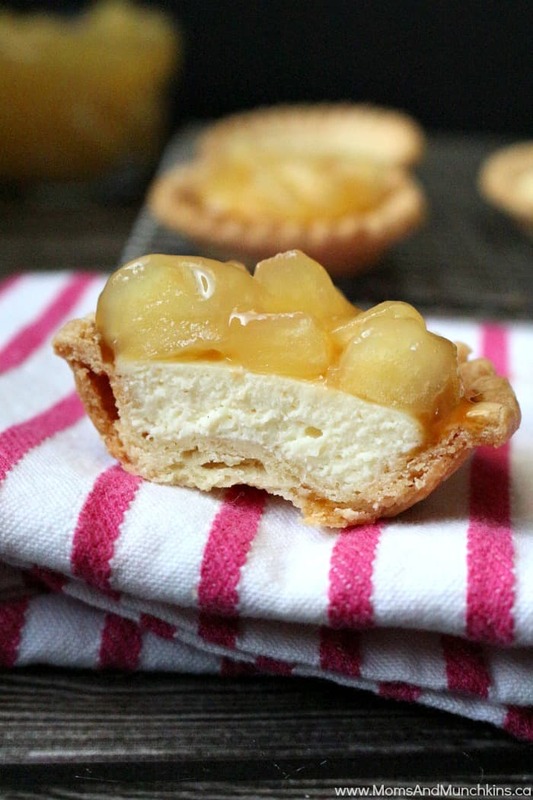 You may want to cut the apples into smaller pieces before topping the cheesecake tarts. Add in sugar, salt & vanilla then beat just until smooth. Beat in heavy cream just until smooth. Add egg and beat just until combined. 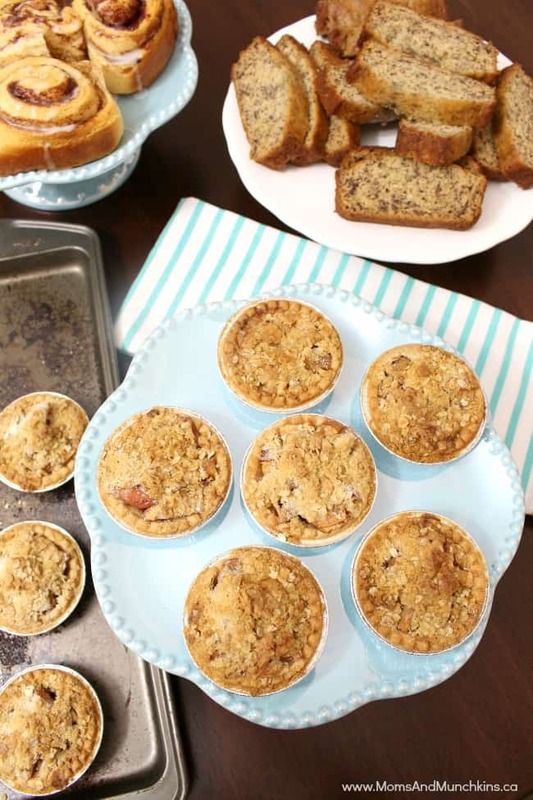 Place cooked tart shells on a cookie sheet. 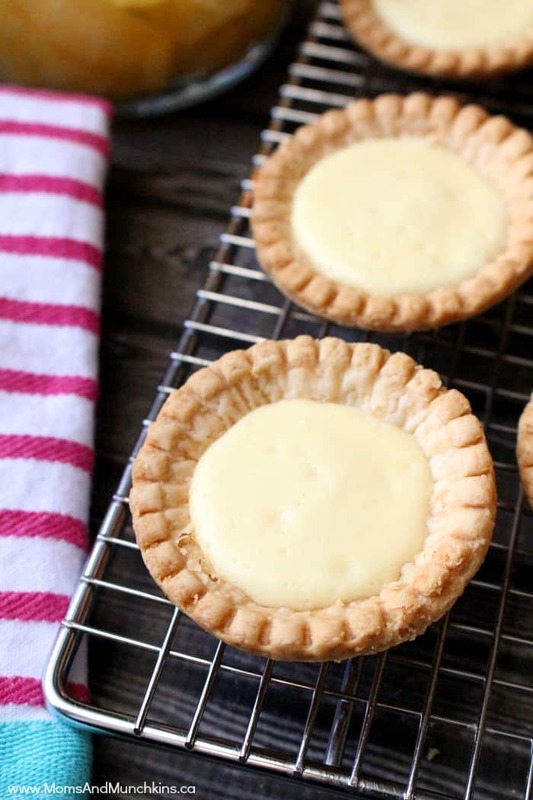 Pour cheesecake mixture evenly into each tart shell. Bake for 15 minutes or until center is set. Cool on wire rack completely then store in refrigerator until you're ready to serve them. Right before serving, top each cheesecake tart with apple pie filling and drizzle caramel sauce over each. 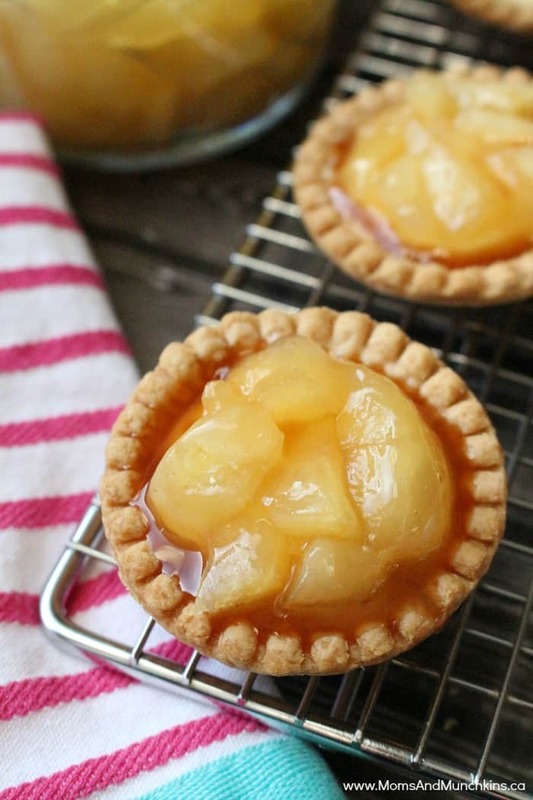 Instead of tart shells, you could make this in a baked pie shell. Go for the deep dish pie shell so you have more room for the cheesecake & toppings. 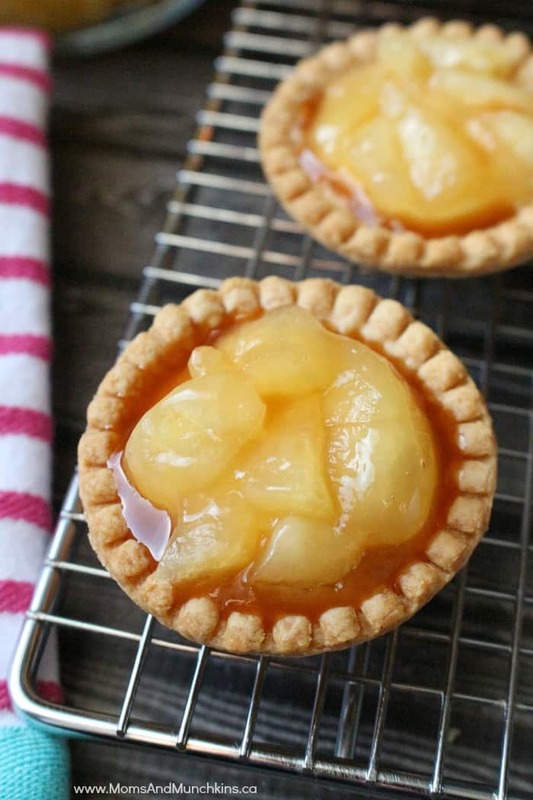 For an apple tart without the cheesecake & caramel, check out this recipe for Mini Apple Pies. We’re always adding new & tasty recipes. Stay updated on the latest by following us on Facebook, Twitter, Pinterest and Instagram.